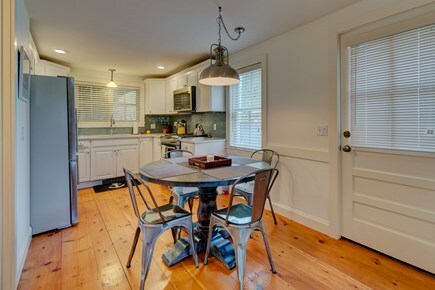 This Cape Cod rental can hold up to four guests. 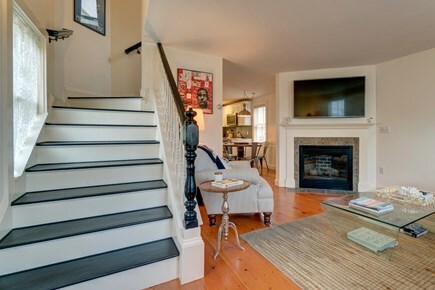 This two story home gives guests plenty of space. 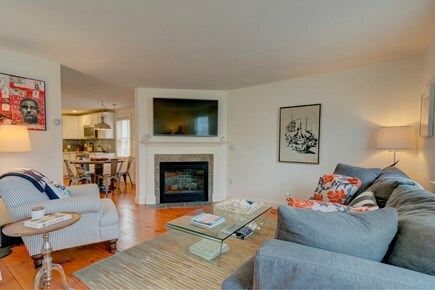 After a day on the ocean come and relax in front of the cable TV. Enjoy a dinner of freshly caught seafood in the dining room. 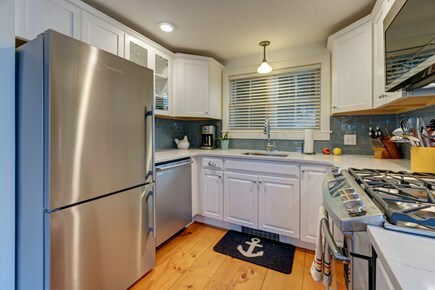 Kitchen is fully equipped with stainless steel appliances. Cook up a five star meal on the gas stove. Recharge after a fun-filled day in this queen size bed. Grill up some fresh seafood on the back deck. This home is in the center or everything you need! 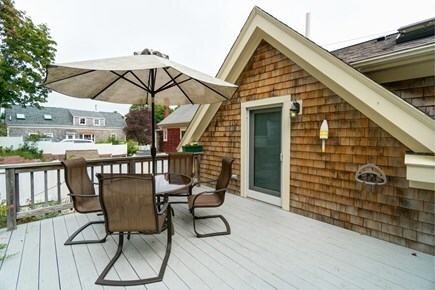 If you've been dreaming of a Cape Cod getaway with your friends and loved ones, look no further than this stunning Provincetown vacation rental. 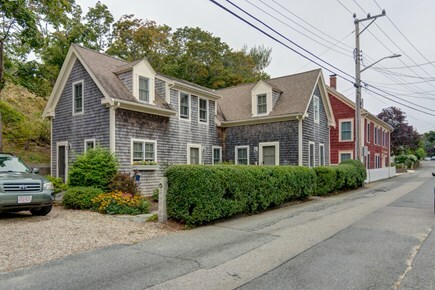 When you aren't strolling along the area's sandy beaches, you'll enjoy relaxing in the comfort of your home away from home, which features a lovely second-floor deck, an enclosed yard, and modern conveniences such as a private washer/dryer, a gas fireplace, and cable. 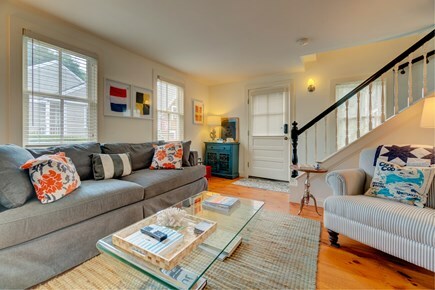 This home sits less than a quarter of a mile from Commercial Street, where you'll find dozens of shops, cafes, and restaurants. Treat yourself to a lunch of fresh-caught seafood, then rent bikes and pedal along the gorgeous coastline. 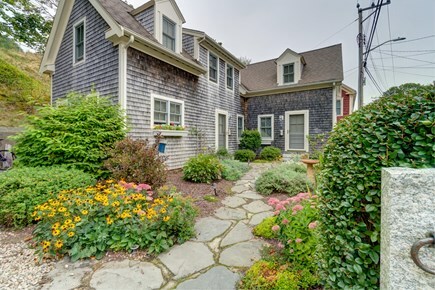 Museum-lovers will find plenty of historical sites to entertain them in Provincetown, and the more adventurous will love exploring the area's numerous lighthouses. If you'd rather lounge on the sand, the beach is just a few minutes away. 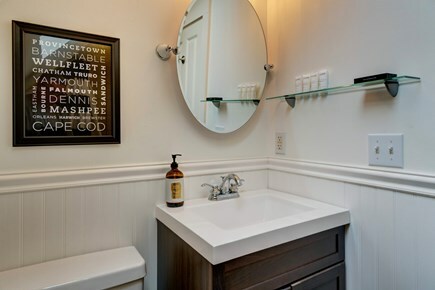 The home itself is bright and airy, with a spacious living room that invites you to put your feet up and get cozy around the gas fireplace while you browse the cable channels on the flatscreen TV. 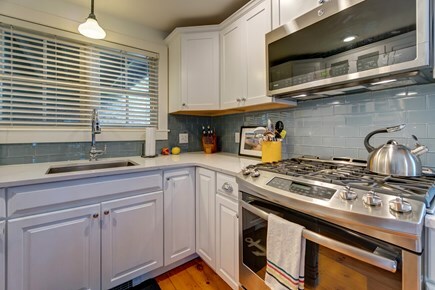 The fully equipped kitchen features updated stainless-steel appliances, including a gas stove, and the dishwasher keeps clean-up quick and easy. After dinner, step out onto the second-floor balcony for a glass of wine or a mug of tea, and use the free WiFi to share pictures with the folks back home. 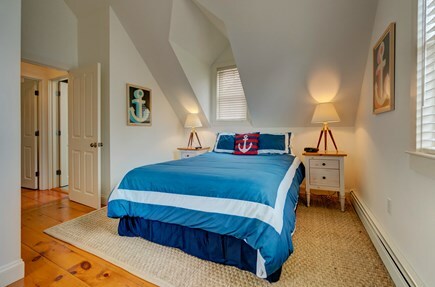 Whether you're strolling along the beach or relaxing at your vacation rental, there's no wrong way to spend your Provincetown getaway. Start planning your trip today! Loved the layout and size of this property. 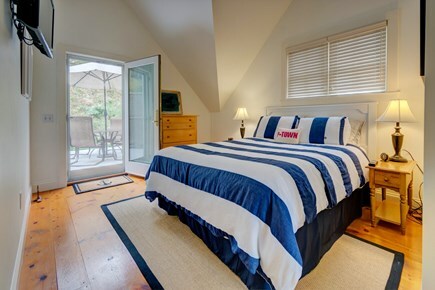 It was so cozy for the two of us, and with a second bedroom, I feel four would fit perfectly. 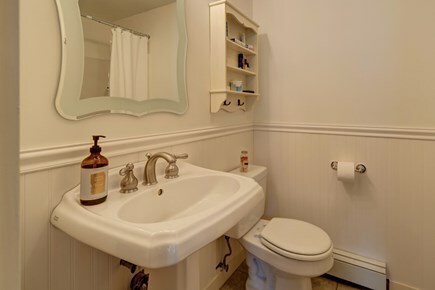 It's in a quiet location but steps away from the downtown activity. 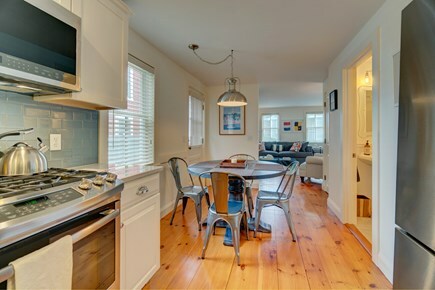 I've rented other properties in Ptown and this was my favorite. We will definitely stay here again.